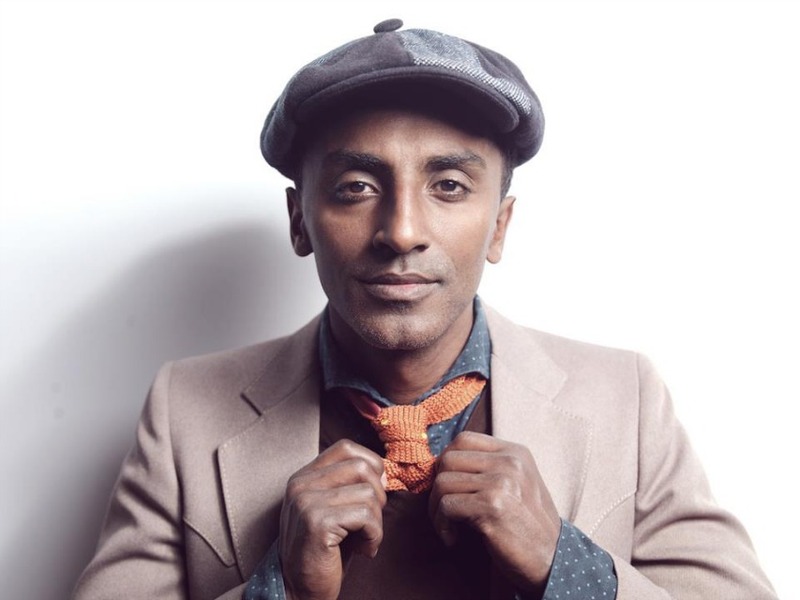 Coming off the heels of his latest and most intimate cookbook to date, Marcus Off Duty: The Recipes I Cook At Home, mega-celebrity chef and best-selling author Marcus Samuelsson will join forces with Roy Choi tonight at POT in Koreatown from 5 p.m. to 11 p.m. to share some of Samuelsson’s favorite home-cooked meals. We’ve seen collaborations at POT before, with the likes of A Tribe Called Quest’s Jarobi White dishing up Korean Soul Food. “This is just my hip-hop self throwing a party,” said Choi during that time. While Samuelsson is of a completely different stature compared to White, you have to figure the vibe this time around will be similar. Choi has a special way of making the unreachable and preeminent seem accessible. The five-time James Beard award recipient is cooking his fried yardbird, mackerel with lime soy sauce, and crab fried rice—among other a few other dishes. “He pulls flavors from far-flung traditions, drawing heavily on his Ethiopian heritage, Swedish upbringing, and soul-food inclinations, but incorporating tastes from India, Greece, Mexico, the Caribbean, and beyond,” says Serious Eats writer Maggie Mariolis about Samuelsson’s book, which is filled with hand-drawn notes and music playlists. “So there are mash-ups like Ethiopian tostados and corn dogs topped with Swedish shrimp salad…lamb lasagna…and a garam masala pumpkin tart.” It’s neither here nor there “and that’s a good thing,” continues Mariolis. If you weren’t able to catch yesterday’s Live Talks Los Angeles discussion between Jonathan Gold and Samuelsson in Beverly Hills, this is your best chance to taste his food and get a book signed.